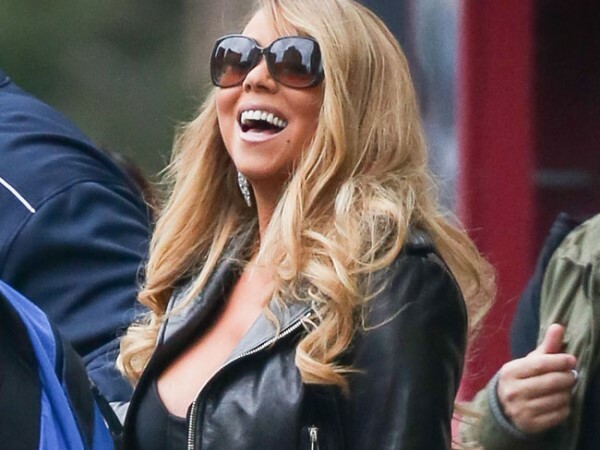 Mariah Carey has been recording her daughter Monroe, two, singing for a song on her forthcoming new album. Mariah Carey's daughter will appear on her new album. The You're Mine (Eternal) singer - who has two-year-old twins Moroccan and Monroe with husband Nick Cannon - has been recording her little girl "ad libbing" after she began mimicking the lyrics from one of her new songs, and says the clips will feature on her forthcoming LP. She said: "It's a song that I wrote with Bryan-Michael Cox and Jermaine Dupri. There's a part that Jermaine says on the song that [the kids] loved, and Monroe started to say it. "I kept having to get my iPhone and record her. So I have all these different takes of her saying things, singing things. Then I'd be like, 'This is your new ad lib -- learn it!' I have to make it fun for her." The Hero hitmaker insists both of her children are already showing signs of musical talent. She told People: "Well, they started singing and talking simultaneously. It's hard to explain. That sounds like a lie, but it's true. They're both so musical." And Mariah claims she is a "tough" mother who won't let her kids watch non-educational programming - unless she is relaxing and watching TV with them. She said: "Their favourite thing is, 'Lie down, Mommy.' Meaning, 'Lay with me and watch a movie.' Because otherwise they have to watch Your Baby Can Read or something educational. I'm a tough task-master like that."